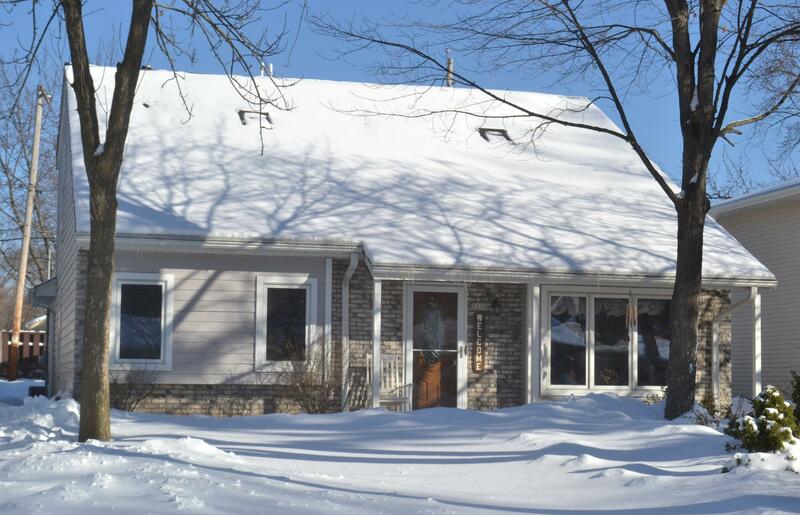 Meticulously Maintained is this Charming, One-Owner Cape Cod! With lots of great updates & built by these original owners, pride of ownership is evident. On the main floor, find the Great Room w/soaring cathedral ceiling open to Loft Area / addt'l Living Room. Kitchen w/newer counters & stainless steel appliances. Dinette w/doors lead to the patio space w/pergola. The main floor is complete w/2 addt'l bedrooms, 2 full baths, laundry & is handicap accessible - 3rd bedroom has ramp access from the exterior. Upstairs, find the spacious Master Bedroom w/fully remodeled ensuite bath featuring stunning tile shower & vanity. Nice size Rec Room in the lower level. Low maintenance exterior, loads of perennials & 3 Car Garage. So much to love about this home! Come Visit Today!